Raymond H. McBride, 78; passed away peacefully at home, loving husband of the late Lois A. McBride, beloved father of Katherine (Richard) Musgrave, Thomas M. (Sally) McBride and the late Raymond J. (Tina) McBride, cherished grandfather of Krista Musgrave, Chelsea, Michael and Brandon McBride; dear brother of the late Marilyn (the late Patrick) Caporale. 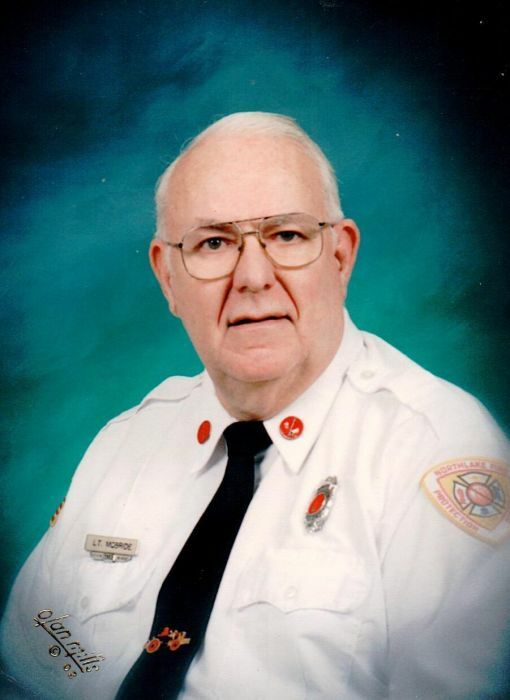 Raymond was a retired lieutenant of Northlake Fire Department for over 20 years and a proud member of Knights of Columbus and American Legion. Visitation: Wednesday, June 20, 2018 from 3:30 pm to 8 pm at the Northlake Funeral Home, 140 E North Ave, Northlake, IL, Funeral Thursday, June 21, 2018, 9 am at the Funeral Home for the Funeral Mass at 10 am, St. John Vianney Church.